Posted by snoozerider in Book Sharing Monday. This is a gorgeous book. 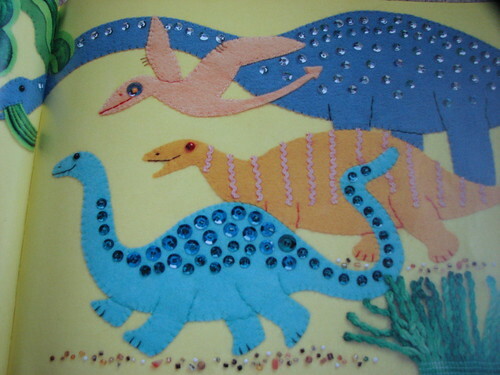 Not only does it tell a very readable tale of a boy who dreamt he was a dinosaur, written in a rhythmically repetitive way (perfect for a bedtime story) but the illustrations are totally beautiful. 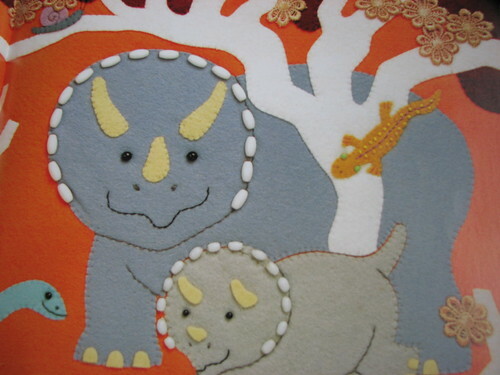 They are all embroidered with felt, sequins, buttons etc so are an absolute joy to look at, especially for stitchy mums and dads and their offspring! 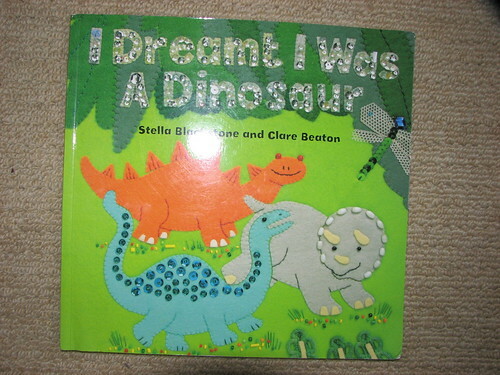 We *heart* Barefoot Books.